This pig has taken cutting to a whole new level, having sliced himself completely in half. Maybe he's self-injurious. Maybe he's suicidal. Either way he's definitely a cutter. 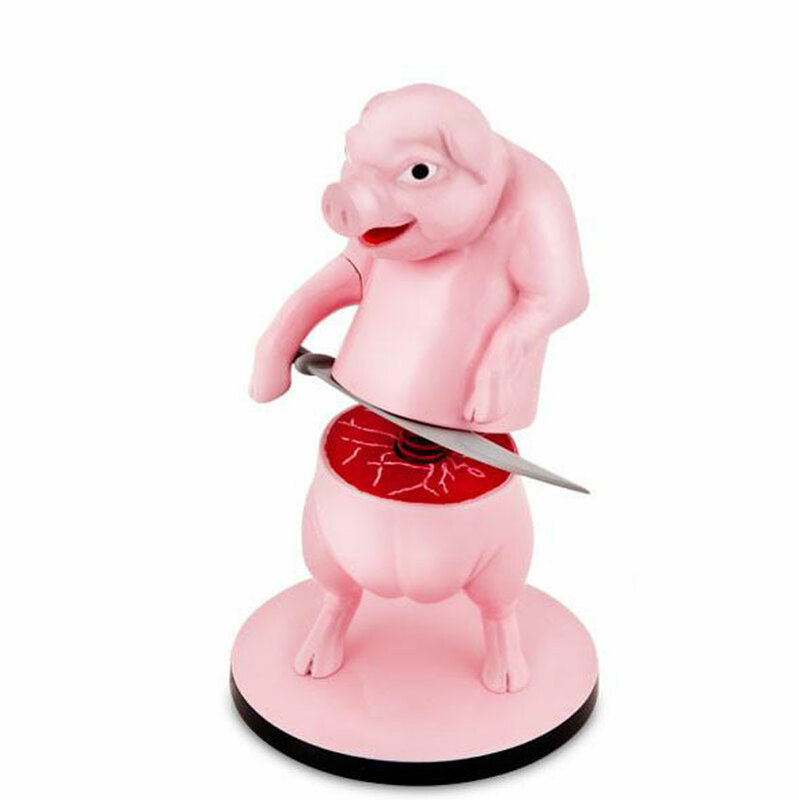 This self-injurious pig is 5.5 inches tall and stands on a 2.5 inch diameter base. Recommended as a sandtray / sandplay figure or for more general play therapy. Freestanding.